Ball Corporation (BLL): Are Hedge Funds Right About This Stock? Hedge funds and large money managers usually invest with a focus on the long-term horizon and, therefore, short-lived dips on the charts, usually don’t make them change their opinion towards a company. The second half of 2015 and the first few months of this year was a stressful period for hedge funds. However, things have been taking a turn for the better in the second half of this year. Small-cap stocks which hedge funds are usually overweight outperformed the market by double digits and it may be a good time to pay attention to hedge funds’ picks before it is too late. In this article we are going to analyze the hedge fund sentiment towards Ball Corporation (NYSE:BLL) to find out whether it was one of their high conviction long-term ideas. 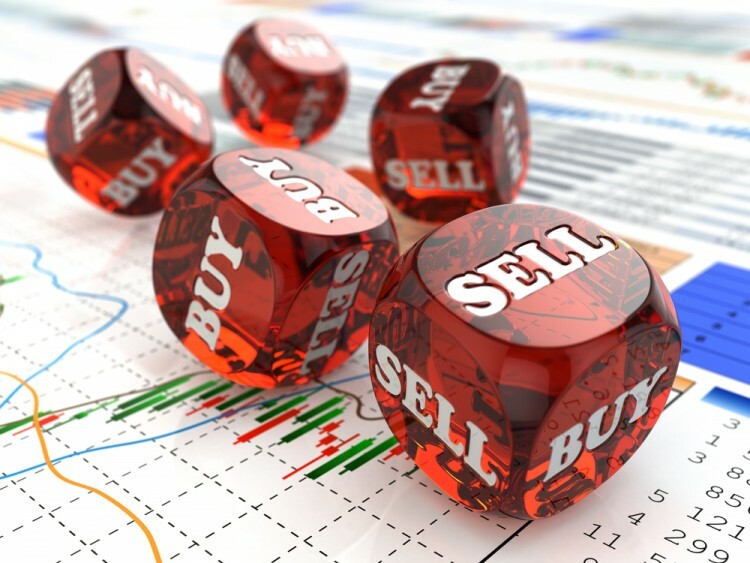 Is Ball Corporation (NYSE:BLL) a buy, sell, or hold? The best stock pickers are undoubtedly actually turning less bullish. The number of bullish hedge fund bets decreased by 7 recently. BLL was in 35 hedge funds’ portfolios at the end of September. There were 42 hedge funds in our database with BLL positions at the end of the previous quarter. At the end of this article we will also compare BLL to other stocks including Skyworks Solutions Inc (NASDAQ:SWKS), Digital Realty Trust, Inc. (NYSE:DLR), and Linear Technology Corporation (NASDAQ:LLTC) to get a better sense of its popularity. How are hedge funds trading Ball Corporation (NYSE:BLL)? At Q3’s end, a total of 35 of the hedge funds tracked by Insider Monkey were long this stock, down by 17% from the second quarter of 2016. 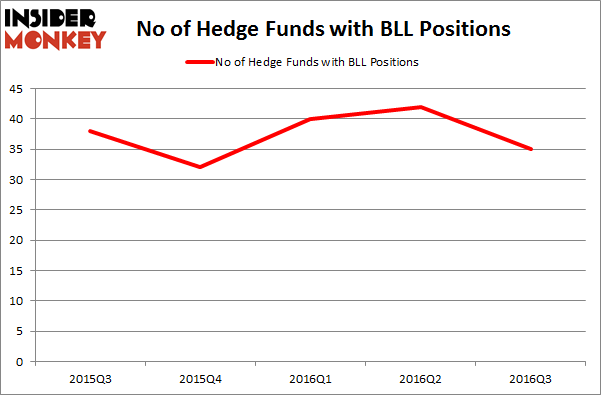 The graph below displays the number of hedge funds with bullish position in BLL over the last 5 quarters. So, let’s check out which hedge funds were among the top holders of the stock and which hedge funds were making big moves. According to publicly available hedge fund and institutional investor holdings data compiled by Insider Monkey, Doug Silverman and Alexander Klabin’s Senator Investment Group has the number one position in Ball Corporation (NYSE:BLL), worth close to $434.3 million, amounting to 5.7% of its total 13F portfolio. The second largest stake is held by Corvex Capital, led by Keith Meister, which holds a $259.5 million position; the fund has 4.9% of its 13F portfolio invested in the stock. Some other members of the smart money that hold long positions include Jacob Doft’s Highline Capital Management, Jim Simons’ Renaissance Technologies and Ken Griffin’s Citadel Investment Group. We should note that none of these hedge funds are among our list of the 100 best performing hedge funds which is based on the performance of their 13F long positions in non-microcap stocks. Is Nordic American Tanker Ltd (NAT) A Good Stock to Buy? Is Northstar Realty Europe Corp (NRE) Going to Burn These Hedge Funds? Hedge Funds Are Still Buying Novanta Inc (USA) (NOVT) Hedge Funds Don’t Think Very Highly of Annaly Capital Management, Inc... Is Liberty Sirius XM Group (LSXMK) A Good Stock To Buy? Should You Avoid Nationstar Mortgage Holdings Inc (NSM)?